And then you’ll deseed the tomatos, tear them up and add them to a dish with some basil, olive oil, chili or red pepper flakes and garlic. This sauce will sit in the fridge for at least a few hours. And when it’s time to serve, you’ll toss it together with some pasta. Then you’ll serve it at the temperature it’s at, with the cold sauce and hot pasta averaging out to a nice warm dish. 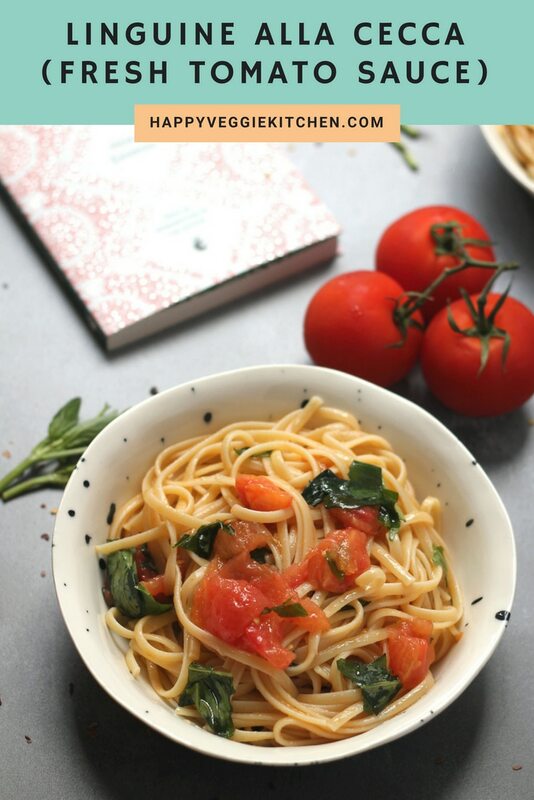 Pasta alla Checca (pasta with uncooked tomato sauce) is a flexible recipe concept! It lends itself to many different pasta shapes, different types of tomatoes, and different preparation methods too. Discovering Linguine alla Cecca made me super curious to try other fresh tomato sauces. 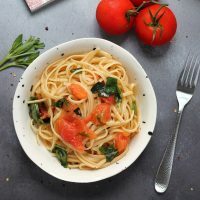 I made this No-Cook Fresh Tomato Sauce from Rhubarbarians with multicolored cherry tomatoes at the height of our heatwave. I served it with penne and a hard cheese and it was epic. The cherry tomato juices were amazing and you just do not need much else. I am also loving the look of this Fettucine with Tomatoes and Burrata over at The Organic Kitchen. 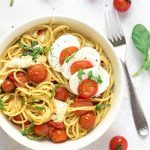 Burrata is an amazing addition to Pasta alla Checca! 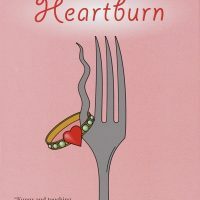 Heartburn also contains recipes for some seriously tempting American comfort food classics such as Peach Pie, Lima Beans with Pears, and Bread Pudding. 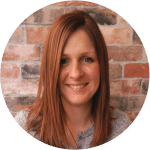 Like me, Rachel is not a “serious food person” so I found all the recipes really accessible and do-able. 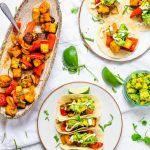 Safe to say, reading this made me all kinds of hungry! 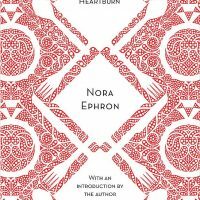 If you’re interested in reading Heartburn, you can grab a copy of this gorgeous Modern Classics Edition on Amazon UK or Amazon.com. 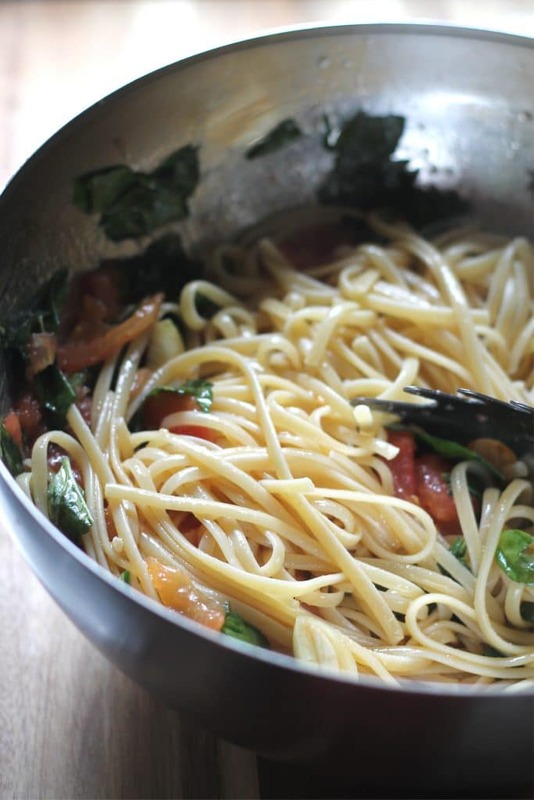 Nora Ephron's take on the beautifully simple Italian classic recipe Pasta alla Checca. 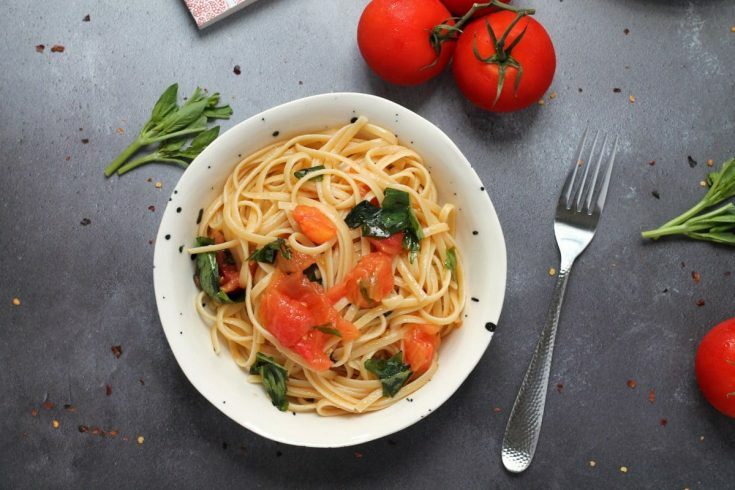 Linguine is mixed with a fresh, cold tomato sauce, with a light and flavorful result. 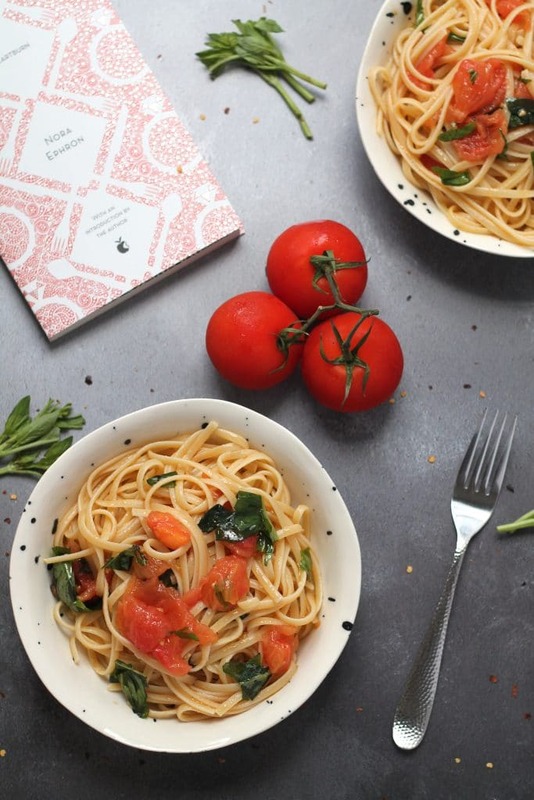 This pasta is simple to put together and a wonderful way to use up fresh seasonal tomatoes. 1 clove of garlic, sliced in two. First, blanch your tomatoes. Bring a pot of water to the boil and put your tomatoes in, whole, for about a minute. You aren't trying to cook them, just get the skin loosened. 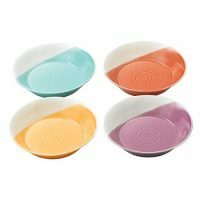 Remove the water and set aside until they are cool enough to handle. 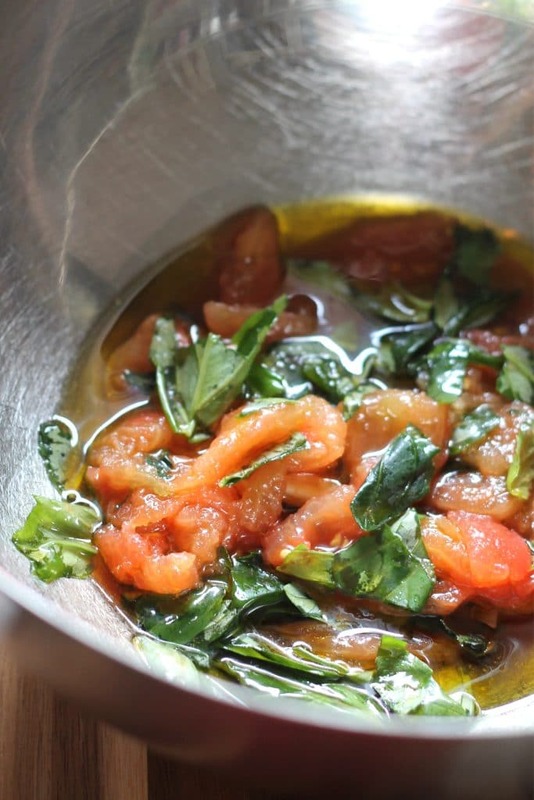 Put the chopped tomatoes in a bowl with the olive oil, chili flakes, basil and garlic. Set aside for a few hours, to let the flavors mingle. When it's time to serve, cook your linguine according to package instructions. Drain and return to the pan. 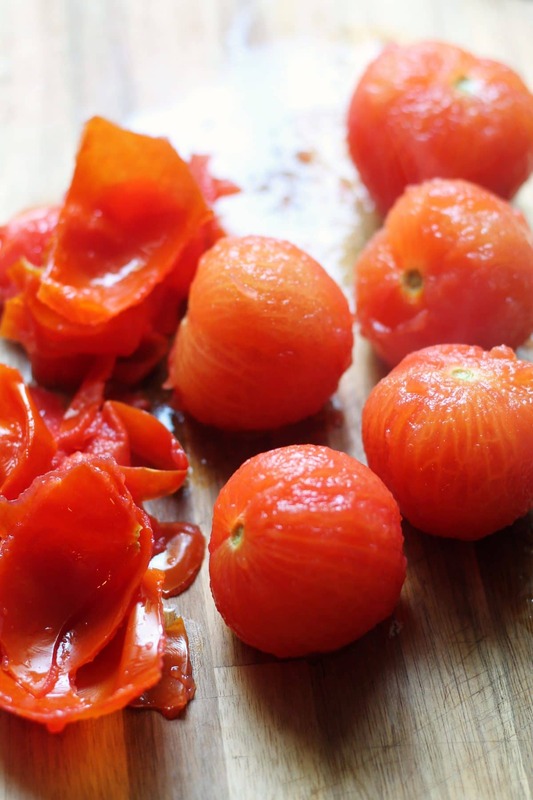 Remove the garlic from the tomato sauce. Mix the tomato sauce in with the linguine. 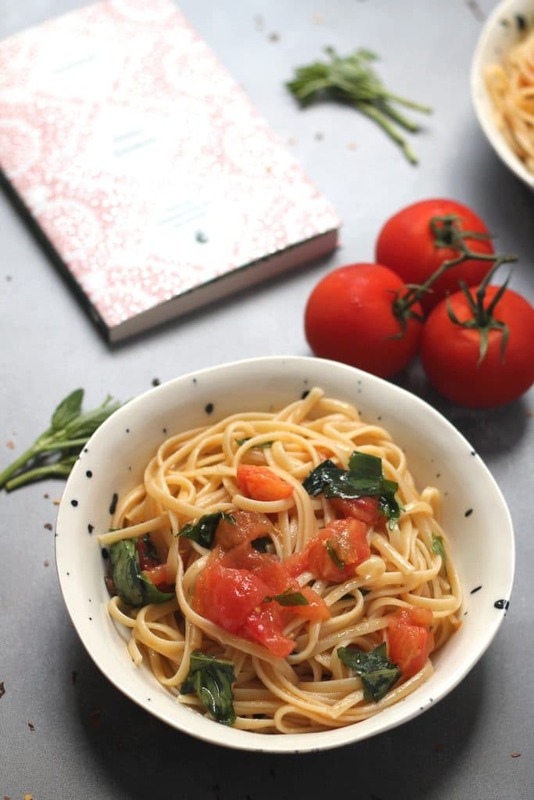 (Do not have any heat on the pan at this stage - the tomatoes will warm up a little just by contact with the linguine but we don't want the end result to be piping hot). 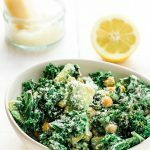 For a lower fat and calorie count, you can easily cut the olive oil in half. 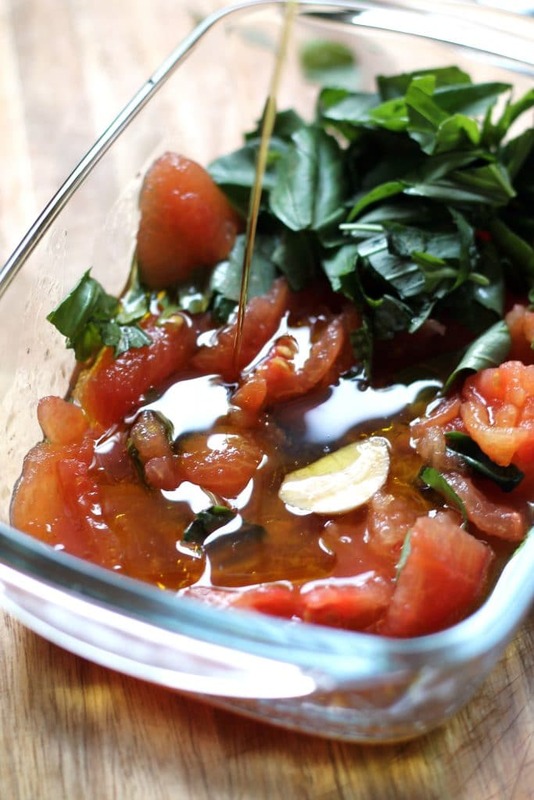 Add a couple extra tomatoes if you do - the extra juice from those will stop the sauce from becoming too dry. 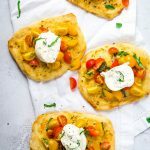 Love the recipe and summary of the book. They both look like real winners!